India Launches Satellite for the help of South Asia. India Launched "satellite of South Asia" on May 5th, 2017. It is a positive signal in relation of neighbourhood countries. This idea mooted by India in 18th SAARC summit held in Nepal. Afghanistan, Bangladesh, Bhutan, Nepal, Maldives and Sri Lanka are the users of the multi-dimensional facilities provided by the GSAT-9 satellite. The benefits the countries would receive in communication, telemedicine, meteorological forecasting and broadcasting. China is planning to launch a cloud for south east region countries, but India wisely took the lead by launching the SAARC satellite. 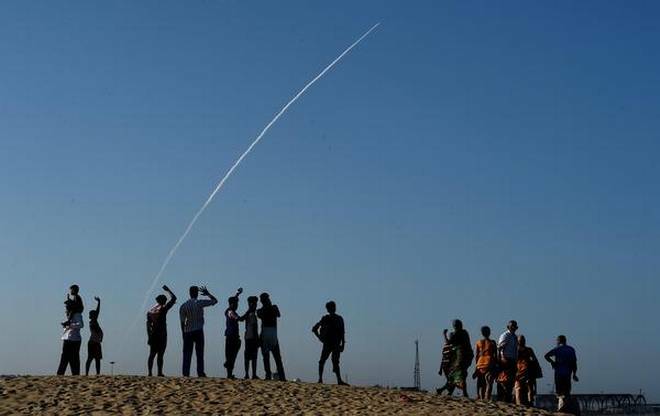 By lauching of this, India proved that it is the only country in South Asia that has independently launched satellite on indigenously developed launch Vehicle. With the GSLV launch India is showing that where it is capable its commitment to the development of its neighbours is strong. Finally, by going ahead with the project despite Pakistan’s decision to pull out, present Government is signalling that it will continue with its plans for the neighbourhood SAARC minus one’ if necessary. It is clear from the launch that if our counterpart Pakistan fails to give Co-operation through land, we can connect with neighbouring countries through space.